ID TECH, the leader in MagStripe Technology, is proud to announce our newest full-sized POS keyboard - VersaKey. 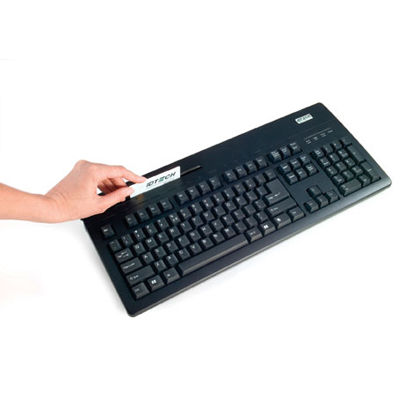 The VersaKey features an enhanced MS Windows layout keyboard with a full featured MagStripe card reader. The keyboard layout provides separated function keys, control keys, curser keys, and a full numerical input keypad. There are also many country specific key layouts available. It comes in a USB Keyboard interfaces.